Dr. Tatiana Vlasova is a leading researcher at the Institute of Geography, Russia where she received her PhD in social/economic geography. She graduated from Moscow State University's Geographical Department as a physical geographer. 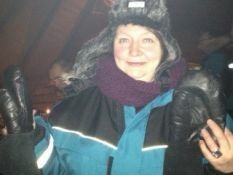 Her experience in the Arctic is based on her fieldwork and participation in several international multidisciplinary projects such as; Arctic Climate Impact Assessment where she served as a representative from RAIPON, Local Health and Environmental Reporting from the Indigenous Peoples of the Russian North (UNEP Grid-Arendal), Arctic Social Indicators, and the Arctic Resilience Report as an IASSA representative. During the IPY 2007-2008 she served as a member of the IPY Committee of Russia and on the Sub-Committee on Observations. Her current research interests include socially-oriented observations and assessments of quality of life conditions and human capital development involving traditional and local knowledge. She is the leader of a Russian team of the Belmont forum “Arctic sustainability: synthesis of Knowledge” (ASUS) project supported by the Russian Foundation for Basic Research (RFBR) and the ARCTIC Studio - a mobile platform for international exchange of knowledge and views within the framework of transdisciplinary communication of scientists, educators, the public, authorities, businesses for sustainable and resilient development of the Arctic and its regions. The Arctic Studio is supported by the International Geographical Union Commission on "Cold and High Altitude Regions" (CHAR) which Tatiana Vlasova chairs. She is a Councilor of the International Arctic Social Science Association (IASSA) and a member of the editorial board of “Polar Geography”.